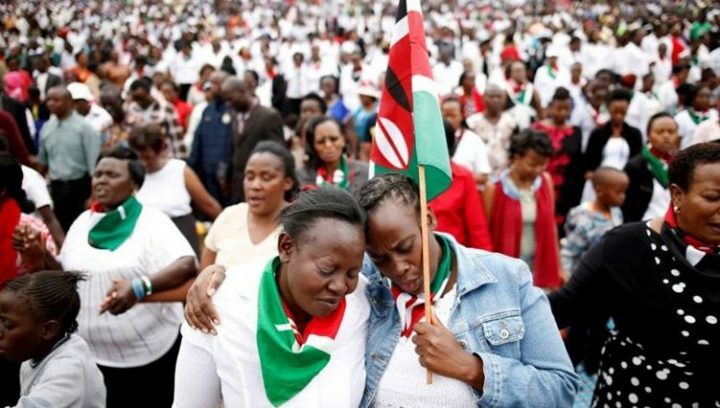 The African Union has called on all Kenyans and stakeholders in the country’s politics to resolve to peaceful resolutions ahead of the fresh presidential elections. The Chairperson of the African Union Commission Moussa Faki Mahamat continues to follow with concern the recent political developments in the Republic of Kenya following the Supreme Court ruling annulling the 8 August 2017 presidential election and subsequent scheduling of fresh presidential election for 26 October 2017. With a few days remaining until the election, the Chairperson is concerned about actions and utterances that have the potential to adversely affect the holding of the fresh presidential election as scheduled. The Chairperson, therefore, calls on all stakeholders to refrain from actions and utterances that will derail Kenya’s democratization process, tarnish the integrity of the planned election and mar the peace and stability of the country with adverse consequences for socio-economic development. It is important that all parties come together to find a peaceful resolution to the current political impasse characterized by street protests on the one hand and the proposed amendment of the electoral laws on the other, in the run-up to the elections. Furthermore, the Chairperson of the African Union Commission calls on all stakeholders to work with the Independent Electoral and Boundaries Commission (IEBC) to ensure that the fresh election is held as scheduled and to refrain from actions and statements that will affect the independence of the Commission. The Chairperson reiterates the full commitment of the African Union to support efforts aimed at advancing democratic governance, preserving peace, security, and stability in Kenya while upholding the culture of human rights, constitutionalism and the rule of law. He stands ready to take any initiative that may be called for by the circumstances to facilitate the peaceful conclusion of the electoral process.